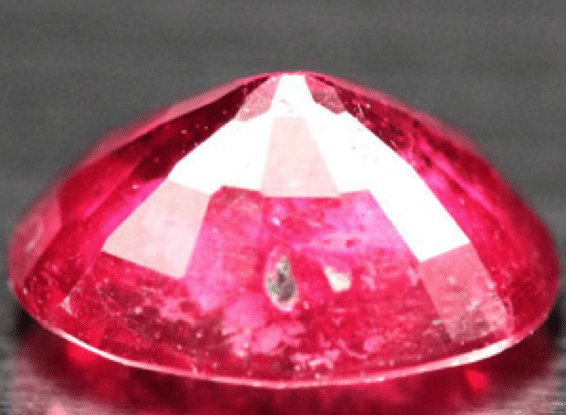 This particular natural red Ruby loose gemstone comes from Madagascar it was treated with heat and with the common fracture filled method, a common technique to improve clarity and color in natural ruby gemstones. This kind of ruby gemstone is very popular in jewelry, you can find this kind of treated ruby set in gold ring or pendant, because it is a nice stone with very good clarity and color. 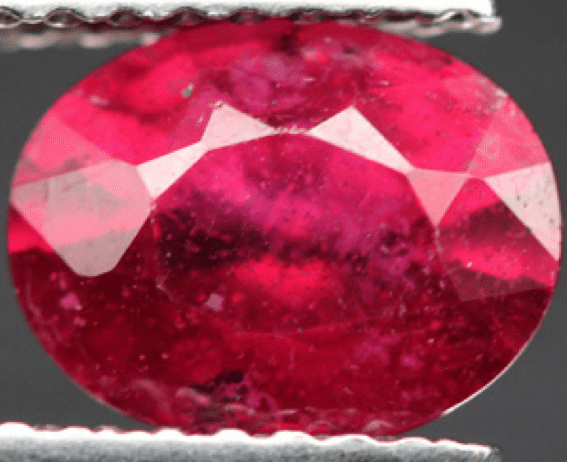 This particular Ruby present some minor inclusions but a very nice purplish red color that make it really adorable perfecct for a gems collection or to be set in a jewel. Dimensions: 7.9 X 6 X 4.1 mm.